Truck Towing House on Trailer, 1900-1940, unknown photographer, scpa00800001032, Kettle Falls History Center Photographs, Crossroads on the Columbia Collection, Washington State Archives, Digital Archives, http://www.digitalarchives.wa.gov. This house moved slowly up the hill to avoid the flooding waters of Lake Roosevelt. In mid-1941 the waters of the Columbia River began to rise behind the Grand Coulee Dam, covering the arid landscape with hundreds of feet of water. The filling of the reservoir behind the 550 foot Grand Coulee Dam forced every animal, plant, and human that called the river banks home to relocate and change their way of life. Detail of the 1850 Clark County Census shows a household inhabited by HBC Chief Factor Peter Skene Ogden, the mixed-raced children he had with his native wife, and two Hawaiian employees of the Hudson’s Bay Company. 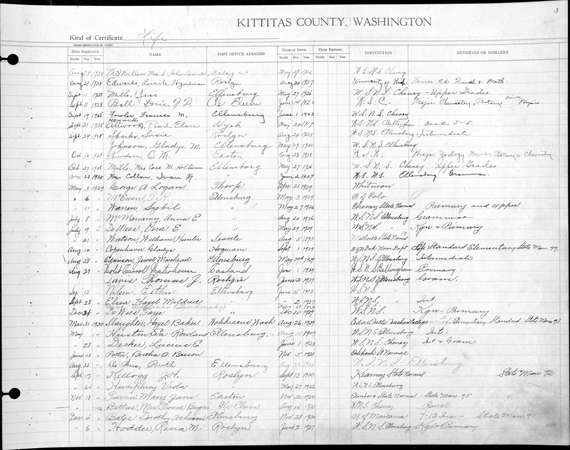 1850 Clark County Census, Washington State Archives, Digital Archives, http://www.digitalarchives.wa.gov. One of the older digitized records we have here at the archives is the 1850 Clark County Census. The federal census is mandated by the U.S. Constitution and takes place every ten years. In many cases it is the most complete record we have of past communities. The 1850 Clark County Census vividly illustrates a diverse community of peoples from all over the world, and can serve as a model of how historians tease information out of census records. This Voters’ Pamphlet from 1916 finds Washingtonians voting on some very familiar issues. Publications, State Government Agencies, Washington State Archives, Digital Archives, http://www.digitalarchives.wa.gov. Everyone have their ballots? Items like this 1916 pamphlet are a reminder that voters in Washington have been shaping state policies for more than a century. 100 years ago this November, Senator Mike Poindexter was elected. The 17th Amendment, allowing the direct election of Senators, had been passed only a few years before, so this was, only the second time Washington citizens had directly elected a senator. Feeding a raccoon, circa 1940. The Washington State Archives would like to remind you not to feed the raccoons. Progress Commission Photographs, 1937-1945; Washington State Archives, Digital Archives, http://www.digitalarchives.wa.gov. 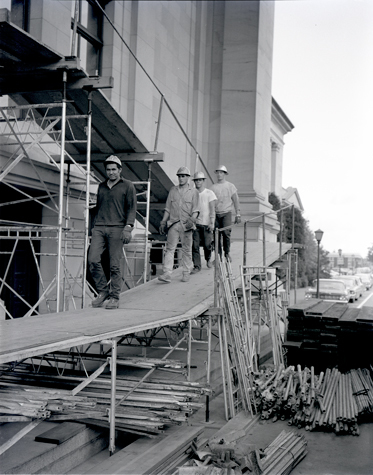 Construction workers repairing the legislative building after it was damaged in an earthquake on April 29, 1965. Legislative building, earthquake damage, exterior, 1965, Susan Parish Photograph Collection, 1889-1990, Washington State Archives, Digital Archives, http://www.digitalarchives.wa.gov. On April 29, 1965 at 8:29 a.m. the ground shook in the southern Puget Sound. A magnitude 6.7 earthquake sent tremors across the area frightening commuters, damaging buildings, and taking three lives. It cost twelve and a half million dollars to repair damages from the first substantial earthquake to affect the region in over twenty-five years. Treasures of the Archives: What Treasures Have You Found in the Digital Archives? This 1913 marriage certificate for “King Corn” and “Queen Alfalfa” is just one unexpected find in the archives. 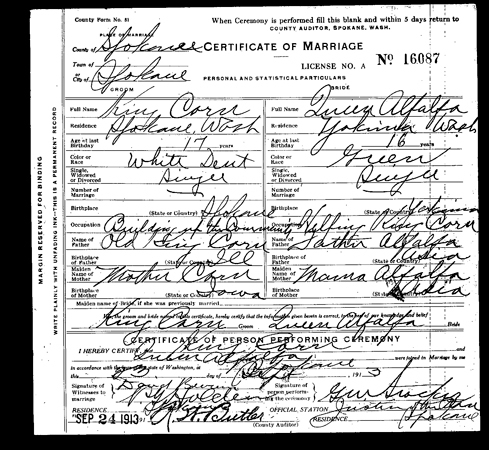 Spokane County Auditor, Marriage Records, 1880-Present, Washington State Archives, Digital Archives, http://www.digitalarchives.wa.gov. Help us out. What buried treasures have you uncovered here on the Digital Archives? For three years now, the staff of the Washington State Archives, Digital Archives has used this space to highlight some of the treasures we have in our digital collections. From early photographs of the state parks to escaped prisoners from the penitentiary, we have shared some of our favorite discoveries. With over 60 million searchable items online, however, we don’t pretend that we have uncovered every interesting item in our collections. So we turn to you--what have you found? Is there some chilling death certificate, unique photograph, or fascinating record series that you have come across? Send us your favorite finds and we will feature your discovery in this space or on the Digital Archives Twitter feed. Email a link and a brief note about what you find interesting to the Assistant Digital Archivist, Larry Cebula, at larry.cebula@sos.wa.gov. We look forward to seeing what you have found! 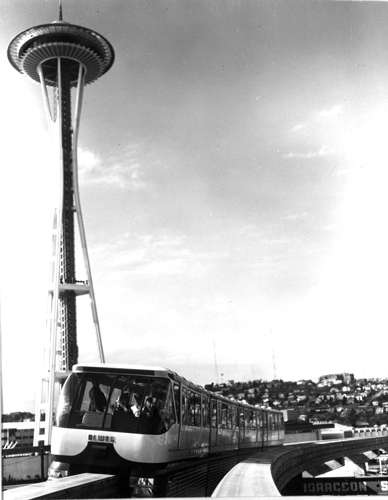 The Space Needle and the Alweg Monorail were symbols of modernity and “the Space Age.” Seattle Monorail and the Seattle Space Needle, 1964, General Subjects Photograph Collection, 1845-2005, Washington State Archives, Digital Archives, http://www.digitalarchives.wa.gov. 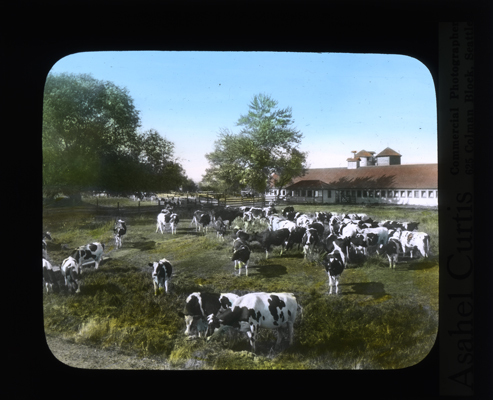 Dairy herd and dairy barn in the Yakima Valley by Asahel Curtis. Conservation Department, Planning and Development Division, Lantern Slide Shows, 1908-1939, Washington State Archives, Digital Archives, http://www.digitalarchives.wa.gov. Washington State photographer Asahel Curtis (1874–1941) has long been overshadowed by his older and more famous brother, Edward. Recently, however, Asahel (which the family pronounced A-shul) is getting his due. A new biography, Developing the Pacific Northwest: The Life and Work of Asahel Curtis by William H. Wilson reveals Asahel Curtis as an important artist in his own right, as well as an advocate of national parks and better roads. This 1920s detail from the register of teachers’ certificates shows that Kittitas County teachers were drawn from a wide variety of educational institutions. ESD 105, Kittitas County Schools, Teachers Certificates, Washington State Archives, Digital Archives, http://www.digitalarchives.wa.gov. The Washington State Archives, Digital Archives is pleased to share a new collection, ESD 105, Kittitas County Schools, Teachers Certificates. This collection consists of a register of teachers' certificates issued by Educational Service District 105 in Kittitas County from the 1890s to 1955. Information includes type of certificate, date registered, teacher's name, post office address, date certificate issued, expiration date, institution certificate received from, and renewals and remarks. The 1903 Death Return for Carolyn Merrill hints at the tragedy that ended her short life. 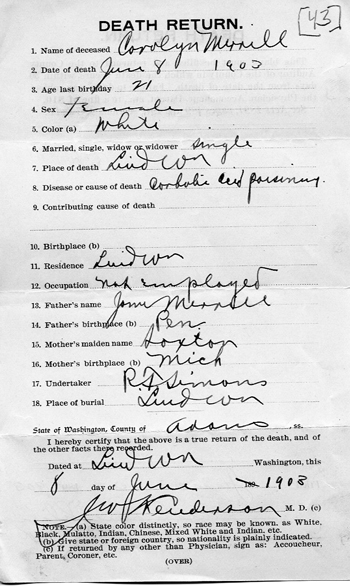 Death Records, Adams County Death Return, Washington State Archives, Digital Archives, http://www.digitalarchives.wa.gov. In 1903, it was not uncommon for people to die at a young age, even in the peaceful farming community of Lind, Washington. Yet something about this death return, for 21-year-old Carolyn Merrill, caught the eye of the archivists at the Washington State Archives, Digital Archives. Take a moment and look closely--can you spot it? 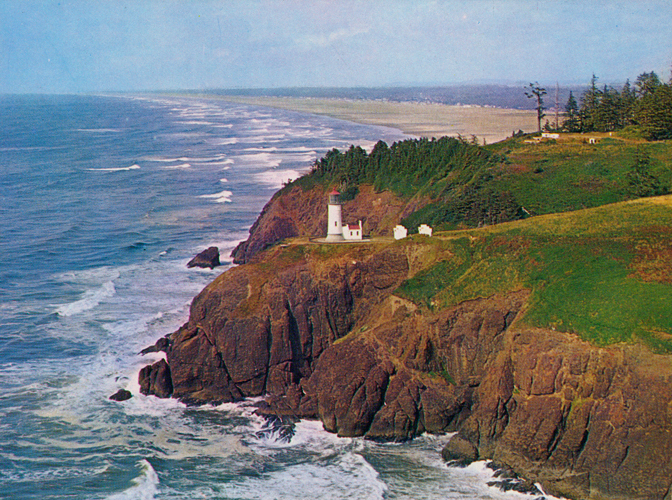 North Head Lighthouse, General Subjects Photograph Collection, 1845-2005, Washington State Archives, Digital Archives, http://www.digitalarchives.wa.gov. 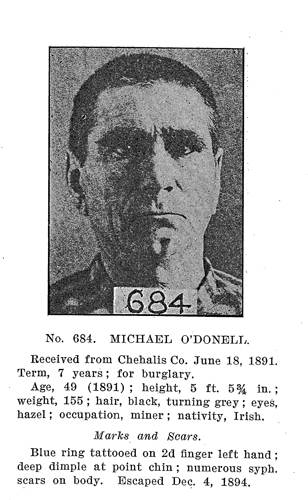 Walla Walla State Penitentiary, Wanted: Escaped Prisoners from the State Penitentiary, 1913, Penitentiary, Washington State Collection, Washington State Archives, Digital Archives, http://www.digitalarchives.wa.gov. In a recent treasure, “Wanted: Escaped Prisoners from the State Penitentiary, 1913” we showcased a state-issued publication that catalogued escaped prisoners. 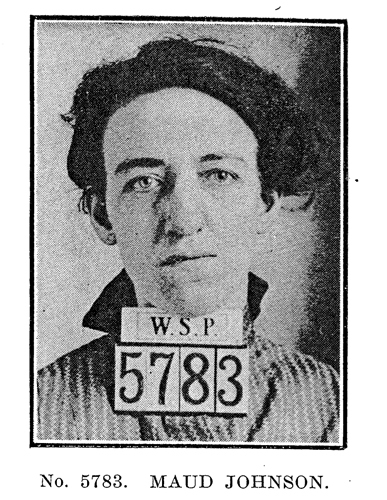 One of the escaped prisoners on page 95 caught our attention: Maud Johnson, the sole female escapee. We did a little digging into Maud’s story, and found a colorful character who lived outside the law. 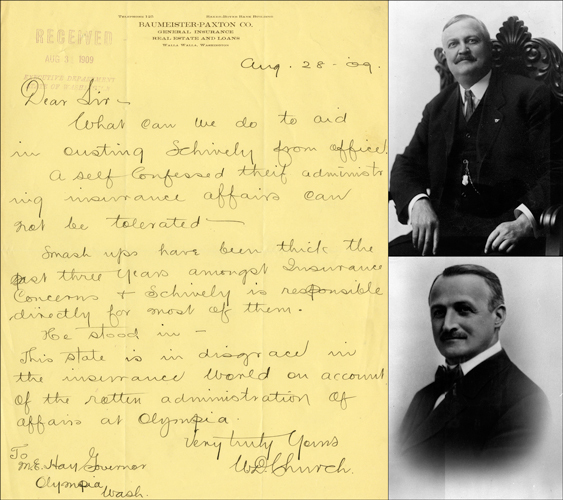 Clockwise from left: Letter to Governor Hay from W.D. Church, partner at Baumeister-Paxton, Walla Walla, asking what he can do to "aid in ousting Schively from office", August 28, 1909, Governor Marion E. Hay Papers, 1909-1913, Washington State Archives. Governor Marion E. Hay, ca 1909, Susan Parish Photograph Collection, 1889-1990, Washington State Archives. Insurance Commissioner John H. Schively, 1909, General Subjects Photograph Collection, 1845-2005, Washington State Archives. With impeachment in the news lately, Archives has received inquiries regarding this subject in Washington State. We’re reminded of the seldom heard story of Washington’s first impeachment trial in 1909; against Insurance Commissioner John H. Schively. Even today, the Schively story provides insight into impeachment, insurance law, and the evolution of Washington’s political climate. Today, criminals rarely escape from prison and when they do apprehension is normally swift and certain. With instantaneous communication, photographs, fingerprints, and vital statistics there is nowhere to hide.